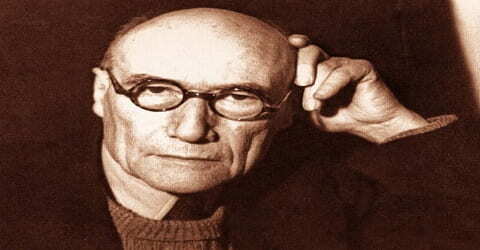 André Gide – French author. Gide was a controversial figure and his life and views on moral, political and religious matters were better known than his literary works. As a young man emerging from the Mallarme circle of Symbolist poets, he wrote majorly for a small, discerning group of initiates. He presented to the public, the variance, as well as the mergence between the two sides of his own personality, ripped apart by the education and the constricted level of ethics on which the society runs. He also portrayed social justice in much of his works. Gide’s literary works are inseparable from human’s life as they reveal man’s true form, the one which is usually hidden behind the societal mask. While confining himself to prose, he derived much life and form from its substance and expressed his underlying thoughts indirectly with artistic discretion. Gide is modern as well as contemporary in his approach, providing lucidity and discursiveness to his writings. His definitions of art are shrewd yet still relevant and they always remain intact, lively and permanent. In politics, he impeded pursuing communism after a veil was lifted up from his eyes on his visit to USSR in 1936. 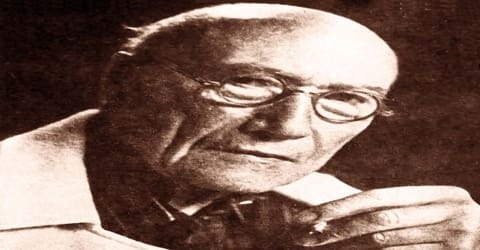 André Gide, in full André-Paul-Guillaume Gide (French: ɑ̃dʁe pɔl ɡijom ʒid), was born on 22 November 1869 into a middle-class protestant family to a Law Professor at the University of Paris, Paul Gide and his wife Juliette Rondeaux, in Paris, France. He received his early education at home before moving to school. At the age of 8, Gide enrolled in Ecole Alsacienne in Paris but his health conditions didn’t permit him to have a continual education. As a result, he was instructed by private tutors at home. After the death of his father when André Gide was 11, the boy was dominated by his mother’s love and grew up in a largely feminine environment. His fragile health and nervous temperament affected his education, which oscillated between formal schooling and a combination of travel and private tutoring. At 15 Gide vowed a lifelong spiritual love to his cousin, Madeleine Rondeaux. In 1895, after his mother’s death, André Gide married his cousin Madeleine Rondeaux, but the marriage remained unconsummated one due to his dissimilar sexual orientation. She died in 1938 and thereafter became the subject of his book ‘Et Nunc Manet in Te’. In 1916, Gide began a relationship with 15-year-old boy, Marc Allegret., who was the son of the best man at his wedding, Elie Allegret. He adopted Marc and fled to London along with him. Gide befriended Oscar Wilde in Paris, and in 1895 Gide and Wilde met in Algiers. Wilde had the impression that he had introduced Gide to homosexuality, but, in fact, Gide had already discovered this on his own. In 1923, Gide fathered a daughter with a much younger Elisabeth van Rysselberghe who was the daughter of his closest female friend Maria Monnom. He christened his daughter Catherine. 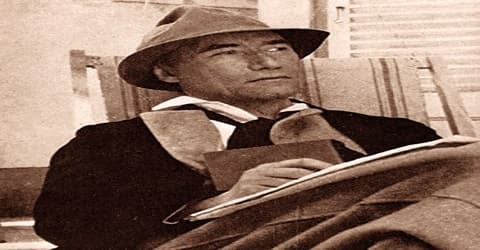 André Gide was brought up in isolated conditions in Normandy and became a prolific writer at an early age, publishing his first novel, The Notebooks of André Walter (French: Les Cahiers d’André Walter), in 1891, at the age of twenty-one. It was well received by his friend, Pierre Louys, a French novelist and poet, who introduced him to the works of Stephane Mallarme, a major French Symbolist poet. In 1893, Gide embarked on a journey to North Africa where he became acquainted with the life and practices of the Arab world which liberated him from the restrictive and pointless Victorian convictions at social and sexual levels. His growing awareness of his homosexuality made him accept the need to follow his own impulses and the open atmosphere that offered him the much-needed encouragement. In 1896, Gide became mayor of La Roque-Baignard, a commune in Normandy. In the same year, he completed his book, ‘Fruits of the Earth’, which was published a year later but not well-received. By the end of the First World War, it became one of his most influential works. In 1901, Gide rented the property Maderia in St. Brélade’s Bay and lived there while residing in Jersey. This period, 1901-07, is commonly seen as a time of apathy and turmoil for him. In 1908, Gide helped found the literary magazine Nouvelle Revue Française (The New French Review). After publishing in 1911 another highly polished though less autobiographical work, Isabelle, Gide was ready to challenge the principle of order in art. This he accomplished in Les Caves du Vatican (1914; The Vatican Swindle), a humorous satire on bourgeois complacency, be it orthodox or anticlerical, and on relativism and chance. The work defies conventional psychology’s insistence on motivated acts. Instead, Gide carries to the extreme the idea of freedom, for the hero, Lafcadio, murders a total stranger by pushing him out of a moving train. Thus Gide evolved the notion of the “gratuitous act,” an expression of absolute freedom, unpremeditated, seemingly unmotivated. He was no doubt influenced by his reading of Henri Bergson, Friedrich Nietzsche, and Fyodor Dostoevsky. In 1918, Gide met Dorothy Bussy, an English novelist, and translator, who was his long-time friend. She assisted him in translating his works to English, being originally in French. In 1920s, he gained much popularity and highly influenced writers such as Guillaume Apollinaire, Albert Camus, and Jean-Paul Sartre as well as several young writers of that time. In 1924, Gide published an autobiography, If it Die… (French: Si le grain ne meurt), his well-known autobiography which treats the years 1869-1895, the period of his homosexual liberation. In the same year, he produced the first French-language editions of Joseph Conrad’s Heart of Darkness and Lord Jim. After 1925, he began to campaign for more humane conditions for convicted criminals. During July 1926 to May 1927, Gide traveled extensively through the French Equatorial Africa colony going to Middle Congo, Oubangui-Chari, Chad and Cameroun before returning to France. He penned down his traveling experiences in the journals called, ‘Voyage au Congo’ (Travels in the Congo) and ‘Retour du Tchad’ (Return from Chad). At that time, his books had a big impact on anti-colonialism movements in France. During the 1930s, Gide briefly became a communist, or more precisely, a fellow traveler (he never formally joined any communist party). As a distinguished writer sympathizing with the cause of communism, he was invited to speak at Maxim Gorky’s funeral and to tour the Soviet Union as a guest of the Soviet Union of Writers. He encountered censorship of his speeches and was particularly disillusioned with the state of culture under Soviet communism, breaking with his socialist friends in Retour de L’U.R.S.S. in 1936. Gide also contributed an essay in ‘The God That Failed’, a book which collected testimonies of several famous ex-communist writers and journalists. In 1935 Les Nouvelles nourritures (Later Fruits of the Earth) had reiterated the ideal of liberation, now tempered by consideration of others, a sense of social duty, and self-discipline. During the German Occupation, Gide was forced to flee to Tunisia. In Thésée (1946) the adventures and accomplishments of the old Theseus parallel Gide’s own. The optimistic mood betrays the author’s serene confidence in the path he had chosen. The following year Gide was awarded an honorary degree from Oxford and the Nobel Prize for literature. With the outbreak of World War II, Gide began to realize the value of tradition and to appreciate the past. In a series of imaginary interviews written in 1941 and 1942 for Le Figaro, he expressed a new concept of liberty, declaring that absolute freedom destroys both the individual and society: freedom must be linked with the discipline of tradition. From 1942 until the end of the war Gide lived in North Africa. There he wrote “Theseus,” whose story symbolizes Gide’s realization of the value of the past: Theseus returns to Ariadne only because he has clung to the thread of tradition. Probably the most important publication of Gide’s later years was his Journal, 1889-1939, released in 1939, one year after the death of his wife. The final volume (1950) carries the journal through 1949. Considered by some of his best work, the Journal is the moving self-portrait of a man whose mind mirrored the crisis of the modern intellectual. It also contains precious information on his curious platonic marriage to Madeleine, who quietly endured her husband’s homosexual adventures by taking refuge in a world of piety and domesticity. Her mute suffering was a great source of guilt and pain to Gide, who loved her deeply. Et nunc manet in te, published posthumously in 1951, is Gide’s testimony to that love and a frank account of their unspoken tragedy. In June 1947, André Gide was honored by the University of Oxford which conferred on him the ‘Doctor of Letters’, a higher doctorate degree for his outstanding achievement and original contribution to the writing. 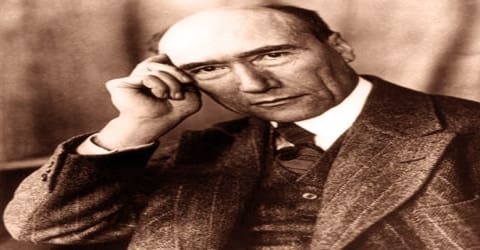 In 1947, André Gide received the Nobel Prize in Literature “for his comprehensive and artistically significant writings, in which human problems and conditions have been presented with a fearless love of truth and keen psychological insight”. 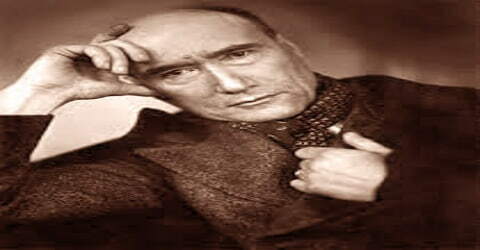 André Gide died in Paris on February 19, 1951, and was buried at Cuverville in Normandy. The Roman Catholic Church placed his works on the Index of Forbidden Books in 1952. Gide’s lifelong emphasis on the self-aware and sincere individual as the touchstone of both collective and individual morality was complemented by the tolerant and enlightened views he expressed on literary, social, and political questions throughout his career. For most of his life a controversial figure, Gide was long regarded as a revolutionary for his open support of the claims of the individual’s freedom of action in defiance of conventional morality. Before his death, he was widely recognized as an important humanist and moralist in the great 17th-century French tradition. The integrity and nobility of his thought and the purity and harmony of style that characterize his stories, verse, and autobiographical works have ensured his place among the masters of French literature.